After Bangor school officials say they shared suspicions of abuse with the agency, Maine's Senate president urges Gov. 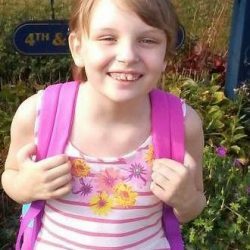 Paul LePage to start an investigation into its handling of the case of 10-year-old Marissa Kennedy. Sharon and Julio Carrillo are led into Waldo Superior Court in Belfast on Wednesday. Both are charged with murder in the death of Marissa Kennedy last weekend. Police say the couple tried to stage the scene as if Marissa had injured herself playing in the home. 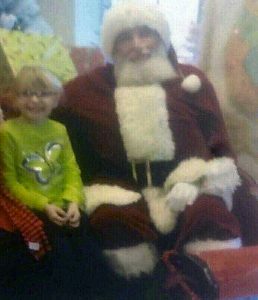 Revelations about the beating death of a Stockton Springs girl are increasing pressure on the Maine Department of Health and Human Services to disclose how it responded to reports that 10-year-old Marissa Kennedy was being abused by her mother and stepfather. Senate President Mike Thibodeau, R-Winterport, called Thursday night for Gov. Paul LePage to mount an investigation into how the agency handled Marissa’s case. 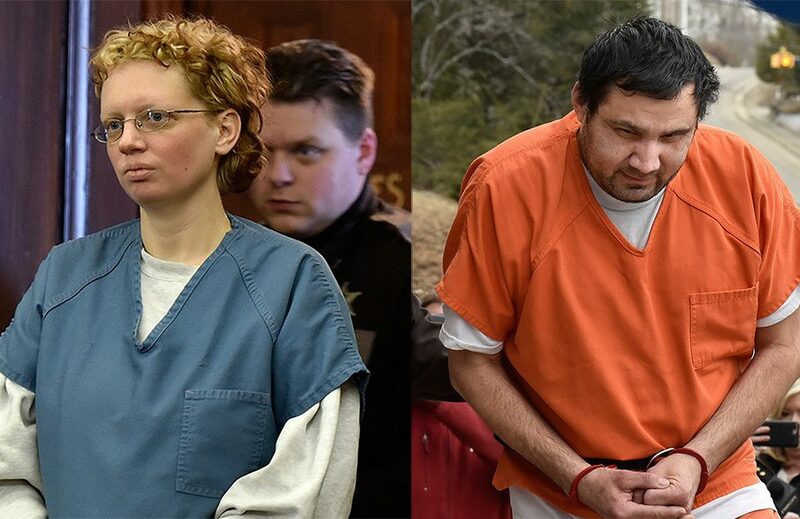 However, Maine Attorney General Janet Mills said information regarding the case or DHHS’ involvement could jeopardize the right to a fair trial for Sharon Carrillo, 33, and Julio Carrillo, 51. The Carrillos are each charged with one count of depraved indifference murder in the death of Marissa, Sharon Carrillo’s biological daughter and Julio Carrillo’s stepdaughter. Both Thibodeau and Mills are running for governor in the 2018 election. The statement by Thibodeau came just hours after the superintendent of Bangor schools said the district had reported to state officials that it suspected Marissa was being abused when she attended elementary school in the district. “On a number of occasions when our staff had a reason to report suspected abuse or neglect, staff made necessary reports to DHHS, which is the state agency assigned the responsibility to investigate,” Betsy Webb said in a prepared statement. Earlier in the day, the attorney representing Sharon Carrillo said it is likely she was being victimized by her husband during their marriage. An undated photo of Marissa Kennedy. Attorney Christopher MacLean of Camden said he plans to examine the relationship his client had with Julio Carrillo. Julio Carrillo’s lawyer, Rockport attorney Steven Peterson, also disclosed Thursday that Sharon Carrillo is seven months pregnant with the couple’s third child. Investigators say Marissa died in the family’s Stockton Springs home after enduring months of daily beatings by both adults. She died Sunday after police and rescue workers responded to an emergency call for an unresponsive child. Police say the call was a ruse, and that the parents attempted to stage the scene as if Marissa had injured herself playing in a basement boiler room. Police said both adults confessed to beating Marissa and trying to make her death appear accidental. The case has raised questions about what police, school officials and DHHS knew about physical abuse of the child. Former neighbors who lived near the family’s apartment in Bangor in 2016 and 2017 said they called police multiple times, and that health and human services personnel had visited the home when they lived there. The family moved to Stockton Springs last summer. On Thursday, Bangor police released a statement denying that officers saw any evidence of abuse when they responded to the Carrillos’ Bangor apartment six times between Dec. 17, 2016, and June 11, 2017. The calls to the Carrillos’ apartment were for three different welfare checks, one reported “mental problem,” a citizen dispute and a juvenile runaway. Bangor Police Chief Mark Hathaway declined to provide any police records, which are now part of the criminal investigation and have been provided to the Maine Attorney General’s Office, which is prosecuting the case. “Officers did not observe injury or behavior suggesting that Marissa or her siblings were in a dangerous or unhealthy environment,” Hathaway said in the statement. “We, like all who have become aware of Marissa’s death, are heartbroken. On Thursday night, Webb, Bangor’s school superintendent, said staff at the elementary school that Marissa attended had reported suspected abuse to DHHS. Webb issued a statement that confirmed Marissa was a student at the city’s Fairmount School during the 2016-2017 school year. Webb said school department administrators and teachers complied with school policy and state law by reporting suspected abuse and neglect to the DHHS. “Although confidentiality restrictions prevent me from sharing the specific circumstances and actions taken by school staff, I am confident that our staff acted appropriately and always in the best interest of Marissa,” Webb said. Earlier in the day, DHHS officials said state law prevented them from discussing details of Marissa’s case. Hamilton also defended the department and its workers. DHHS spokeswoman Emily Spencer followed up Hamilton’s interview with a statement Thursday evening. “The department is not refusing to comment, but is instead not able to comment as dictated by Maine law,” Spencer said. In an interview Thursday evening, Mills said she hadn’t personally instructed Hamilton not to comment about the case, adding that he was probably advised by his department’s legal staff. Mills said she could authorize the release of some information, but said she must weigh the value of doing that against the Carrillos’ right to a fair trial. Mills also said information regarding the case or DHHS’ involvement also might violate the privacy of the Carrillos’ two other children, a boy and a girl, who were living in the Stockton Springs home at the time Marissa died. The children – ages 1 and 2 – haven’t been identified and were taken into custody by DHHS, police said. MacLean said he plans to assemble a team of experts to evaluate Sharon Carrillo’s psychological and cognitive health, in addition to probing their relationship. Neighbors said Wednesday that they frequently heard fighting – both verbal and physical – from the Carrillo’s Main Street apartment in Bangor. Both parents are being held in lieu of $500,000 bail at the Two Bridges Jail in Wiscasset. Peterson, Julio Carrillo’s attorney, said he plans to scrutinize whether his client was read his Miranda rights before he made incriminating statements to police, and whether the statements were made voluntarily. Citizens who knew the couple have also reached out to MacLean to tell him what they know – an unusual situation in a criminal case, he said. MacLean said he is aware of allegations that neighbors called DHHS out of concern for the children, but he has not seen any records yet of the agency’s involvement with the family. Peterson also revealed new information about the Carrillo family, their history and how they came to Maine. Julio Carrillo was born in Puerto Rico but was raised in Brooklyn, New York, Peterson said. Julio Carrillo also has learning disabilities and was in special education programs throughout his early life. The couple have been married for several years, Peterson said. They lived previously in Kentucky, but moved briefly to New York state before moving to Maine. Julio Carrillo worked at a WalMart in Kentucky, and then transferred to the Bangor store. But he left that job at some point in the past and was most recently working at the Ocean State Job Lot in Belfast, Peterson said. At the time of the alleged murder, Julio Carrillo was on medical leave for an unspecified heart condition, Peterson said.